Photo from Sukkulente Euphorbien. This member of the Euphorbiaceae family was given this name by Rodolfo Amando Philippi in 1857. 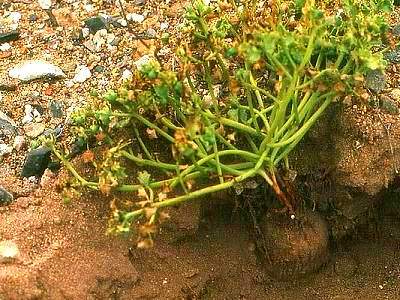 It is found in the Atacama Desert of Chile, growing in grit or other well drained soil with little to some water (10 mm/year! but fog) and lots of sun. 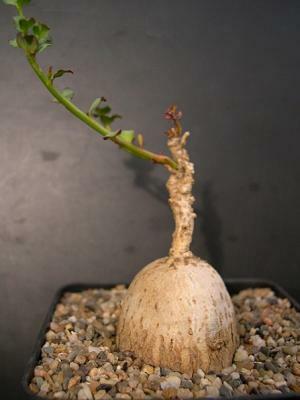 The caudex can grow to eight centimetres in diameter, the annual branches up to 25 centimetres. The flowers are from pale yellow to dark violet. This is a winter grower, but is will probably use any chance given.